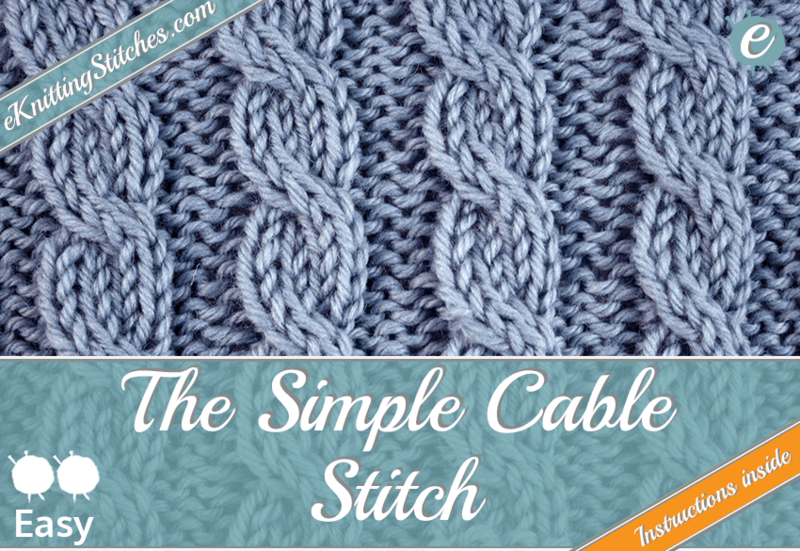 The Simple Cable Stitch is a great place for beginners to start working with Cables & Twist Stitches. The stitch is instantly recognizable, as it adorns many a knitted cardigan and jumper, as panels or as a full pattern. It's also, very suitable for giving cuffs or other fitted areas a little more 'oomph' than a standard rib stitch. The simplicity in this stitch is that you are working predominately in simple knit and purls (almost producing a wide, offset rib effect). On row five (of a six-row repeat) we add in a cable four forward to create the twisted texture. 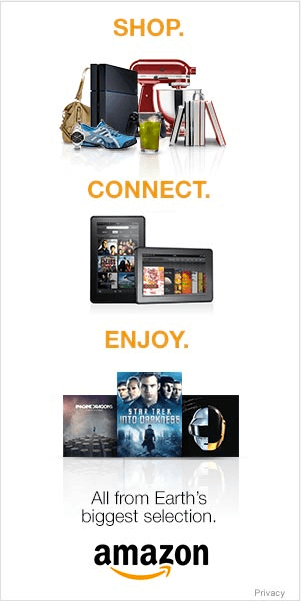 Simple as the name suggests! Cast on any multiples of seven plus three stitches for your project. 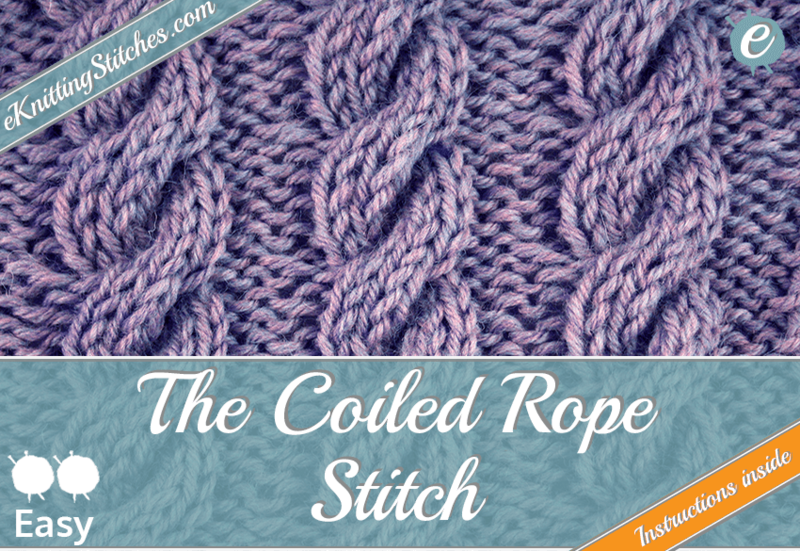 The Coiled Rope stitch is another relatively straight-forward and easy to learn Cables & Twist Stitch, similar to the Simple Cable Stitch. The coiled rope, like it's name suggests resembles a sturdy looking length of rope, possibly one reason it's so popular as panels on those warm knitted fisherman's wooly jumpers. The stitch is actually a quite a straight-forward wide rib stitch, just using knits and purls for the first four rows until you reach the fifth. Here you add a cable-six-forward to the mix, to generate the continuously wrapping coiled rope effect. Start your project by casting on mulitples of nine plus three stitches. The Flag Stitch combines just the Knit & Purl stitches to produce a beautiful layered, textured effect. 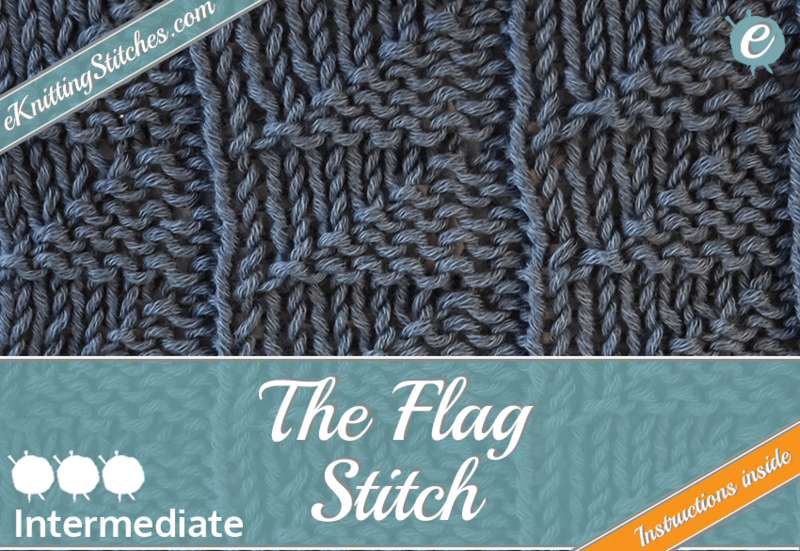 The Flag Stitch is excellent for adding some relief, and texture to large projects, such as cardigans or blankets. Cast on multiples of seven stitches for your project. 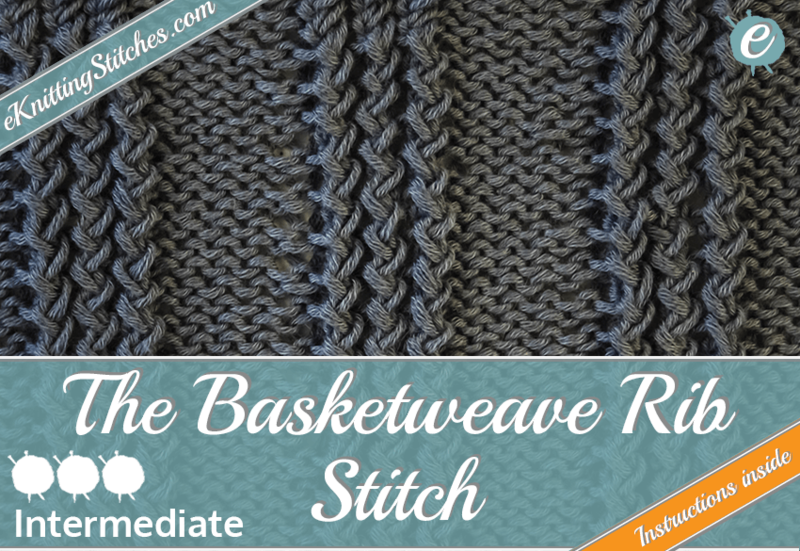 The Basketweave Rib stitch is a truly stunning Rib Stitch pattern and definately one of my favorites. The stitch creates a small six stitch diagonal basketweave pattern along the ribs, on the background of a reverse stockinette stitch. The basketweave pattern may look like a cable, but doesn't require a cable needle as we use a series of cross two knit left and cross two purl right stitches to generate this texture. The stitch, while not strictly reversible looks beautiful on both sides, and has a fair bit of give. This stitch is best used for the whole fabric, or as a decorative panel on a garment rather than using as ribbing around the collars or cuffs (although, do as you wish!). Cast on multiples of twelve plus five stitches for your project. 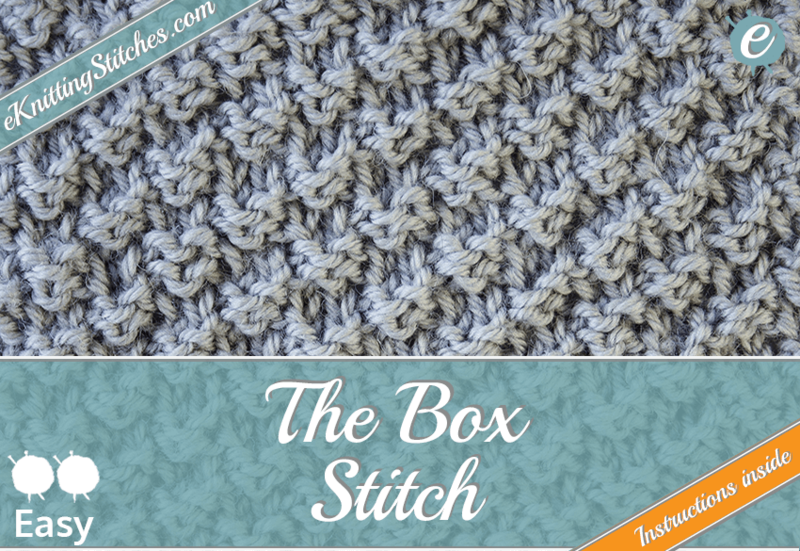 The Box stitch is a pretty straightforward to knit member of the Knit & Purl Stitch family and creates a lovely raised bumpy texture. The stitch is similar in appearance to several others such as the Trinity Stitch or the Moss Stitch with it's raised bumpy appearance. The stitch is reversable and creates diagonal lines of raised bumps by using a knit two/purl two staggered sequence.. Cast on any multiple of four plus two stitches for your project.